It’s dinnertime at the Naval Submarine Base New London in the tiny town of Groton, Connecticut, and a room of 30 high-ranking officials are hungry. Culinary Specialist First Class Allen Williford is scrambling around the small kitchen, about the size of your typical break room, boiling lobsters. He splits them down the middle, removing all the meat. Then, he stuffs the tails with a lobster meat custard. 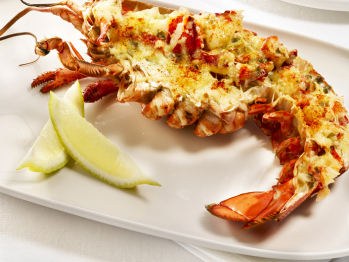 The Lobster Thermidor − one of seven courses he’ll serve that night − is ready for plating. 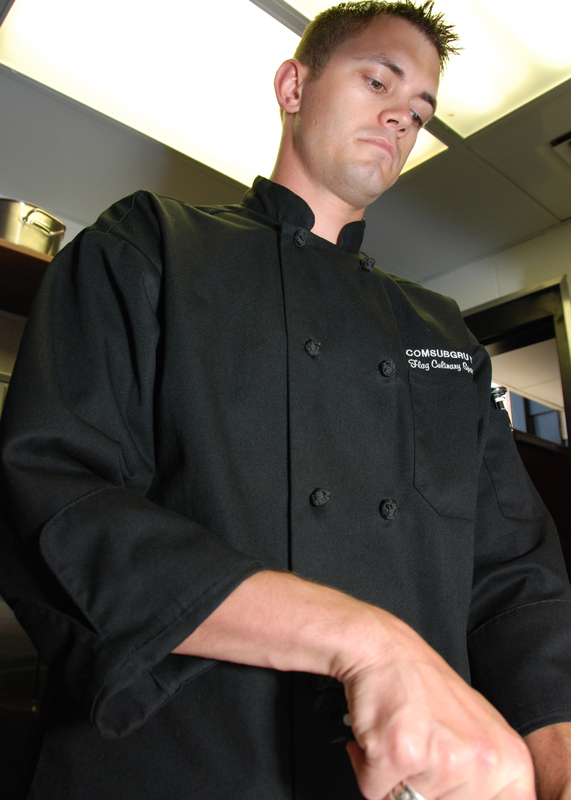 Did you enlist in the navy with the intent of becoming a culinary specialist? By the time I was 17, before I had to quit to leave for the navy, I worked on the weekends as a line cook and on the weekdays as a waiter. Then, when I was picking what I wanted to do for the military, my cousin told me to do something I really loved and enjoyed. I took his advice and decided to cook, so I went off to four weeks of training at culinary school in San Antonio, Texas. How long are your trips below sea level? I worked as a culinary specialist on a ship in San Antonio for five years, where I cooked four meals a day for 140 crew members. We spent more than 70 percent of those five years at sea, which is a lot of time away from your family. Now, I’m a personal chef for a flag admiral. So you just cook for one person? I also host events for delegates and other high-ranking officials. Do you get a say in the foods you cook? I get to create a lot of my own menus – it’s like running my own small restaurant. I buy my own fresh produce and propose menus, which get approved by the flag staff. When I’m on a ship, however, it’s a standard navy menu that changes every three weeks. That can get a little boring, but we’ll try to change up some of the flavoring. Most elaborate dish you’ve cooked: For high-ranking officials, I’ll make something light and elegant, like smoked salon with an apple coleslaw. Once, I made a seven-course meal, which included oysters on the half shell, mixed greens salad with arugula and bacon vinaigrette, French onion soup, and Lobster Thermidor. How is the submarine’s kitchen equipped? It’s all industrial sized equipment, with two ovens and one flat grill top. There’s no stove, since pots would fly all over the place. Instead, we have fixed kettles that you can put anything in and then heat up. The kitchen I work in now, on the submarine base, has more commercial equipment: a stove, oven, and refrigerator. Size of the kitchen: Pretty small. It’s split into two sides: one for food service attendants to wash dishes and clean up, and the other side for the cook. The entire kitchen can fit about three people comfortably. You don’t need too much space. Best part of your job: I constantly get to be creative. I had a passion for cooking and exploring how things work, and I was pretty much self-taught. It’s satisfying to produce meals that are of the caliber I produce. Most challenging part of your job: Working by myself. It’s especially challenging for large events of 30 to 50 people, but other cooks will volunteer to help me serve. Did you always love to cook? I spent a lot of time in the kitchen when my dad cooked dinner as a kid. As I got older, my mom worked as a nurse, so she was gone a lot. She would always have the fridge stocked for me, but I often cooked for myself. Starting at age 15, I started having friends over to cook for them, and realized I had a knack for it. A passion for cooking more often leads to a career in the restaurant business than in the navy. I worked as a waiter at a restaurant at age 16, and one of the cooks noticed that I always showed up early to help prepare the food. He let me help out, so I’d work double duty: on the weekends as a line cook and on the weekdays as a waiter. I would see how things were produced in the kitchen, and then later in the evening see the look on people’s faces when they ate it. It was immediate satisfaction. Favorite foods: I really enjoy seafood and Italian food. What would people be surprised to learn about you? There’s a little more on my plate than just cooking. Submarines are small communities; there are a lot of jobs to go around, and not a lot of people to fill them. 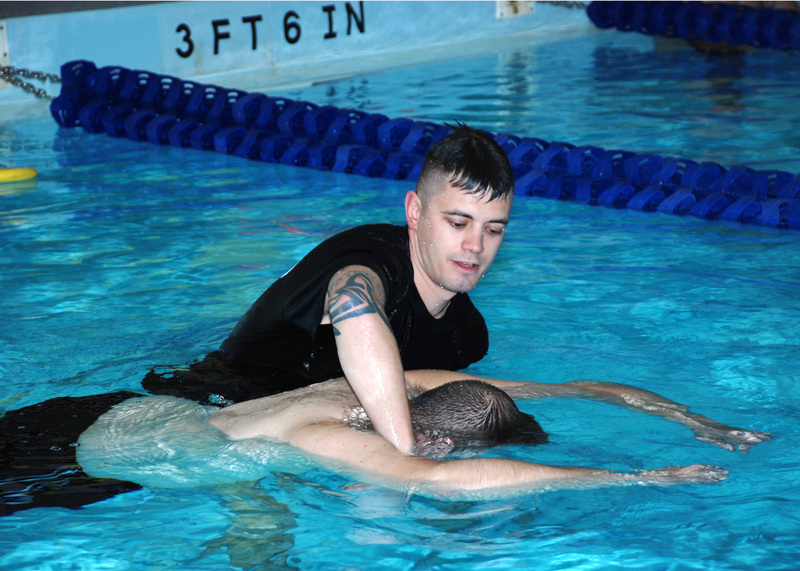 So I also took on the job of submarine diver and rescue swimmer, and I volunteer at the local fire department. 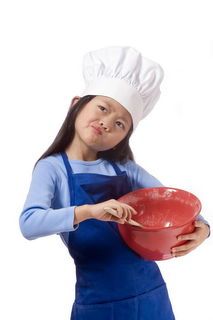 Do you test out new recipes on your kids? My family is my guinea pig, and my wife is my best critic. Salary range: See full pay tables here. First and foremost, you need to be passionate about cooking. If that’s the case, the navy will train you and give you all the tools you need to be right where I am today. Click here for more Foodie Fridays, like the miniature food artist and the master fudge maker. 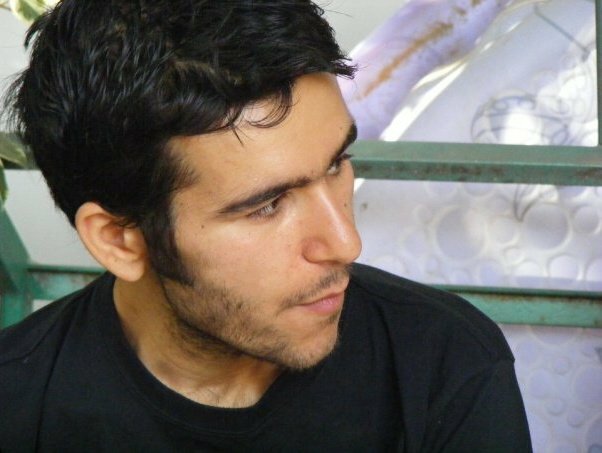 Shay Aaron, a Tel Aviv native, initially studied fine arts, but quit one year later to finish his pastry studies. This fall, he will begin classes for set and costume design. Shay Aaron’s strict diet regimen includes Italian hoagies, lemon pound cake doused in icing, and dozens of cannolis oozing with chocolate. After four years, he has lost 175 pounds. The catch: all the treats are about one-twelfth their actual size, and made from polymer clay. Four years ago, at 308 pounds, Israeli artist Shay Aaron was overweight and depressed. He began creating miniaturized food sculptures at 1:12 scale that look almost completely edible, and used the hobby to curb his appetite. “I feel like I’m replacing my passion for greasy food with fake baked goods,” he says. No need to worry about his creations being too beautiful to eat. You couldn’t if you tried. They fit on the edge of a fingertip, often no larger than a penny or a matchstick. His work, most of which is created using a pasta machine in his small living room studio, includes crops of fruits and veggies, mouthwatering dessert spreads, and loaves of Challah. Describe what you do in one sentence. I create collectible miniatures on a 1:12 scale, and also make wearable pieces. How does one break into the miniature food art business? From a very young age, I had a weight problem, and I started creating fake food to help get over it. Four years ago, I weighed 308 pounds, and I was miserable. I was working with polymer clay, making millefiori and home décor pieces. One day, a customer asked me to create a miniature replica of a traditional Jewish dish. That was when I found what I wanted to do for the next five years. Now, I’m trying to replace my passion for real food with these little miniatures, and sometimes it works. Where do your best ideas come from? On Friday mornings, I work with my mom in her little kitchen. We host the whole family every Friday evening, and my mom is charge of the cooking. I help her come up with special desserts that complement her dishes, so that’s where a lot of the ideas for my work come from. I also [draw inspiration from] Martha Stewart. Does your work make you hungry? I can’t imagine sculpting something not related to work. That said, my work makes me hungry, for sure. The problem is that I work during the wee hours of the morning, and there’s nothing worse than eating at night. What tools do you use for sculpting? You don’t need special tools and materials to get perfect results. The main material must be polymer clay, but I also combine wood, glass and aluminum, resin, metal, wood and ceramic. I use lots of unconventional tools in my work, from pasta machines to food processors. I also use rocks and boards that create interesting textures, as well as rolling pins and toothbrushes. All my little tools are placed in a little chest of drawers made of clear plastic. Work you’re proudest of: My Mediterranean cuisine collection is really a part of me. Here in Israel, we usually purchase Mediterranean foods in the supermarket. But before I make miniature versions of any food – in this case, hummus and falafel – I feel like I need to make them for real. That way, I learn more about the process. How do you price pieces that are barely the size of a penny? It’s hard. I would prefer that someone else priced my pieces, but nobody else can evaluate how much work I put into each piece. The only elements that count are time and effort – not materials used. Your work is so small and intricate. Are you a perfectionist? No, I don’t define myself as one. I just know how important the details are. That’s where the secret is – in the details. How did you choose a 1:12 scale? 1:6 is too big, and 1:24 is too small. A one-inch scale is also a traditional ratio for models and miniatures. Strangest request from a customer: I was asked to create a wedding ring that looked like a fortune cookie, with a tiny fortune that read, “Will you marry me?” Another guy, from Canada, asked me to create a ring for his wife that featured a replica of their wedding cake. Best part of your job: That I don’t have a big boss. [Laughs.] The best part of what I do is the compliments and feedback from people around the world. I once received a video from a guy in America who proposed to his girlfriend using my hummus ring. It was one of the most wonderful moments I’ve ever had. Most challenging part of your job: Creating miniature versions of very specific dishes. I always ask my customers to find images of the items they want me to create. Do you display miniature art in your home? I keep a few items for myself, but most of my creations are made for sale. What’s your work schedule like? I try my best to work every day, kind of like a nine-to-five job. It’s hard, because sometimes I don’t feel inspired enough to work on new pieces – and when I force myself to work, I’m not happy with the results. Speciality dessert: Pies and tarts, and especially all lemon desserts. I love to blend sweet and sour flavors together. I also like all kinds of chocolate in any variation, shape, and state. Dream job as a kid: I always thought I’d be an actor. Always accept a challenge, and never give up on a task. But don’t force yourself to do things that you’re not comfortable with. Check out hundreds of photos of Shay’s work on Facebook, Etsy, and Flickr. You can also follow him on Twitter at @shayaaron. Click here for more Foodie Fridays, like the co-founder of Crumbs Bake Shop and creative director at Dylan’s Candy Bar. All photos courtesy of Shay Aaron. "It's so gratifying to go into a grocery store and see something you’ve been working on for the last year," says Supriya Varma, a senior scientist at Frito-Lay. Traditionally, food and science and technology don’t exactly go hand-in-hand. 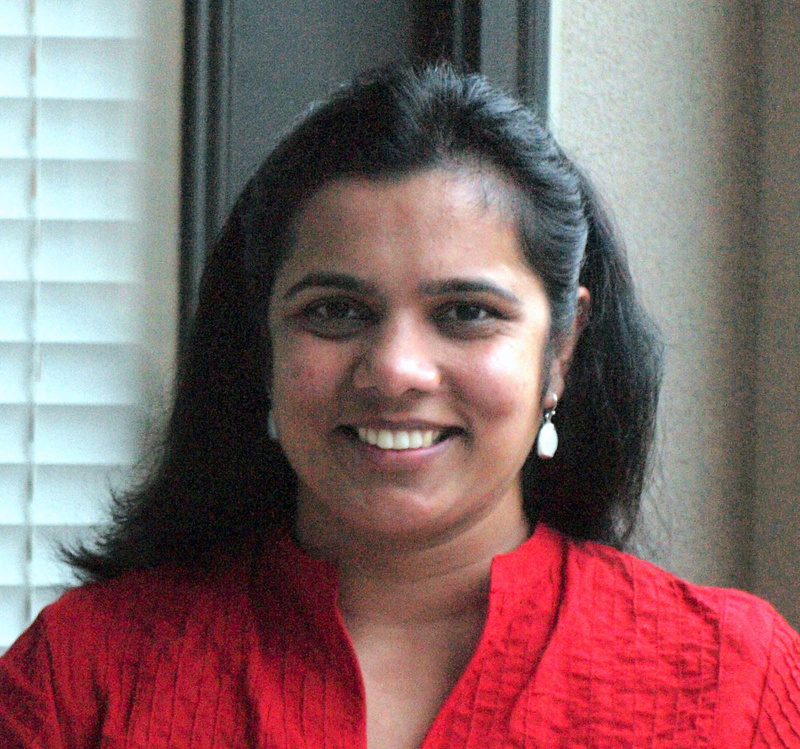 But the combination comes naturally for Supriya Varma, the senior scientist at Frito-Lay. Varma uses science and technology on a daily basis to help develop processed food products like southwest enchilada black bean dip. After moving to the U.S. from India to complete her Ph.D., Varma pursued a career in food chemistry, a field offering much growth. As she points out, people love to eat – so the industry is very stable. Here, Varma discusses reducing enzyme activity to preserve a product’s shelf life, her views on genetically modified munchies, and her love of plain old Lay’s potato chips. Graduated from: Rutgers University with a Ph.D. In a sentence or two, what do you do all day? I generate ideas for new products, build prototypes, and work with consumer insights to get a sense of what customers want. I’m involved from design to execution of new products. What products? All different dips. We launched a Southwest Enchilada Black Bean Dip a few years ago, and recently launched a spicy nacho cheese one. We also do single-serve dips to go. Emerging trends in the food industry: Ethnic flavors and hot, spicy products – like Mexican and Latin flavors. Lots of consumers nowadays like those flavors in the form of snacks and drinks, which is a change from what we’ve seen in the past. Consumers used to be very intimidated by new flavors. Advances you hope to see in the field: While consumers are experimenting with new flavors, it’s still not in a big way. For example, they want to see all different kinds of ice cream, but in the end, they still lean toward the vanilla or strawberry. So creating innovative new products is a big risk for sizeable companies like Frito-Lay. Yes. Sometimes, we’ll see products come and go, and it took a huge amount of time and effort to have it hit the market in the first place. But there’s hope; many years ago, people barely knew about sushi, and now you see tons of sushi places across all cities, and even in grocery stores. True, but much of that sushi is not true to form. That’s another thing that concerns me about the food industry: it’s important that products stick to their true roots and are not diluted too far away. You want to give an authentic experience to consumers. Misconception you’d like to change: People think all processed food is unhealthy, but it’s not. How do people respond when you tell them what you do? Some say, “Oh, I was never sure how we were getting tomato ketchup on the shelves.” People in my field are the ones making sure astronauts get the required amount of nutrition in a compact way, since every gram you send to space costs $10,000. Best part of your job: I get to eat all day, but that’s good and bad. [Laughs.] You’re ahead of trends and get to see products in their entirety, ideas coming to life. It’s very gratifying to go to a store and see something you’ve been working on for the last year. Something people don’t know about your job: A lot of people think being a food scientist is home ec[onomics] or learning how to cook, but it’s not. It’s looking at food in a scientific way, and making sure the eating experience is the same whether you buy a product at a 7-Eleven on the road or at a large grocery store. How to you apply science in your job? It helps us understand how the products are impacted over time – in other words, its shelf life. If ingredients have lots of enzymes that can degrade the product, we figure out how to limit the activity of those enzymes. We work very closely with engineers and packaging folks. 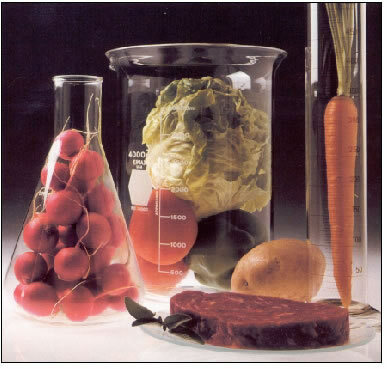 Your required reading: Food Chemistry by Owen Fennema. It’s the bible for food chemistry. Views on genetically modified food: It’s tricky. You want to make sure that the good attributes of food products are maintained and that they don’t have harmful effects. You see things like onions that don’t make you cry and huge cloves of garlic, but it’s important that the overall attributes – flavor, texture, and appearance – remain the same. Do you have any weird eating habits? 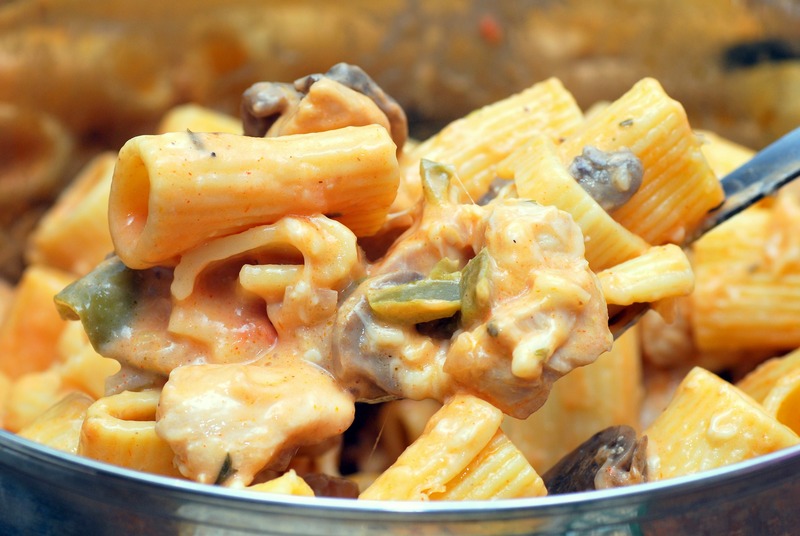 I enjoy new cuisines and lots of quick, easy cooking – like frozen veggies, meats, and instant meals. I use them as building blocks and then customize those frozen products. I don’t have time to make elaborate meals. How have advancements in technology changed your job? We’re now able to store perishable crops without them getting damaged, which in turn makes raw material more readily available. Ingredients that were previously just seasonal are now available throughout the whole year. Favorite Frito-Lay product: Traditional Lay’s chips. Dream job in college: I love animals, so probably working as a vet or at a shelter. Foodie idol: I don’t really have one. I do like The Food Network’s Alton Brown, though. He demystifies our industry and bridges the gap between culinary and food science. Supriya Varma offers advice for aspiring food chemists: Put in the time to understand the basic science behind the job; you need to like getting your hands dirty. A science background is highly recommended, if not required, since the job ultimately boils down to chemistry and what’s happening to products as they’re getting processed. Hungry for more? Click here for more Foodie Fridays on No Joe Schmo, including a pizza chef and kimchi taco truck worker. As the general manager at Santullo’s Eatery in Chicago, Ill., Jeremy Kniola tosses pizza pies, schmoozes with customers, and figures out how to rake in more dough (we don’t mean the flour-y kind). Santullo’s serves up slices of New York-style thin-crust pizza to set itself apart from the crowd of deep-dish eateries that line the streets of Chicago’s Wicker Park. And if customers complain about that, the staff simply recommends they go elsewhere. Below, Kniola talks about the mystery behind the pizzeria’s name, his scarring experience with Domino’s, and his unabiding love for omelettes and Arrested Development. Growing up in the restaurant business, did you feel as though a career in the food industry was inevitable? As a kid, I wanted to be a rock star; I played bass. But my dad ran a restaurant in the early 60s, and I worked there through high school, waiting tables and cooking. Then I got into the management side of things and stepped my way up, which I really enjoyed. What do you do all day at Santullo’s? I take care of finances, inventories, and marketing – but I don’t just sit in my office. I’m also on the floor, talking to customers to see what they want, and working shifts and making pizzas. I’m also working on a new menu to attract more customers while still keeping the musical, artsy feel of the place. What will the new menu include? Vegan and vegetarian pizza options and a pasta menu, which our regulars have been asking for. How would you describe a slice from Santullo’s? It’s New York-style instead of the traditional Chicago deep-dish. Our thin crust has a cracker feel, so it can’t hold a lot of weight, but we’re always trying new things that make us different from our competitors. Like what? Our Hawaiian pizza isn’t just pineapple and ham – we also mix in barbecue sauce and bacon. A lot of our creations are generated by customer feedback. Do you get backlash for serving New York-style slices in Chicago? On occasion, but in those cases, we suggest [other pizzerias] to those people. You can’t satisfy everyone. Besides the crust thickness factor, how does New York-style differ from Chicago-style pizza? With New York-style, the ingredients are spread evenly across the top. With Chicago-style, the ingredients are in the middle of the pizza, and it has a lot more bread. Something people don’t know about your job: Making pizza doesn’t take long to learn, but it does take a long time to perfect. People think we just toss out pizzas, but we need to make sure the weight is distributed equally on the dough with a nice circular edge. It can get thin and tear very easily. Do you spin the dough on your fingertips? That would rip it. It should land on your knuckles after tossing it in the air. Best part of your job: Working with my friends. We’re all musicians or artists who also enjoy food – and we don’t dread coming to work. I actually come in on my days off. 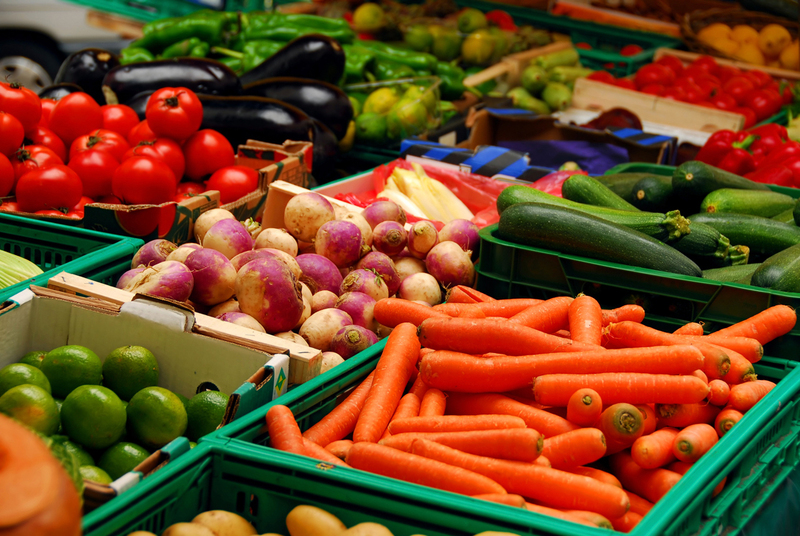 Most challenging part of your job: With food prices rising, we have to figure out where to spend money that will be most effective for bringing in customers. Do you ever get sick of pizza? No. I don’t eat it every day – I also try different things on our menu, like sandwiches and salads. Most popular pizza: Margherita, which includes fresh mozzarella, tomato, and basil. Your favorite pizza: Great White, which includes provolone and mozzarella cheese, red onions, sun-dried tomatoes, roasted garlic, and olive oil. Type of oven used: Two older-model electric stoves. Where does the name “Santullo” come from? It’s a mystery! It’s supposed to be a family thing, but there’s nobody named Santullo here. We have more fun coming up with concepts and telling people stories than knowing where it really came from. Are you Italian? No. There are Italian people here, but not me. Most despised corporate pizza chain: Domino’s. I had a bad childhood experience – let’s just say [the pizza] came back up. 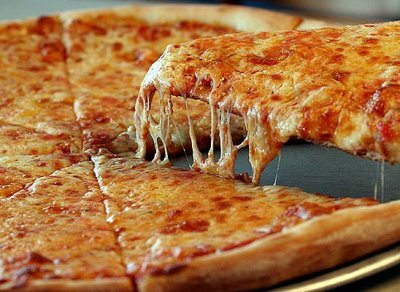 What is it about pizza that unites all Americans? It’s traditional, like the cheeseburger or hot dog. You can have it as a quick lunch, a snack at a game, or over a movie with your family on a Friday night. Your comfort food: Omelettes. I was raised to eat something right away in the morning. 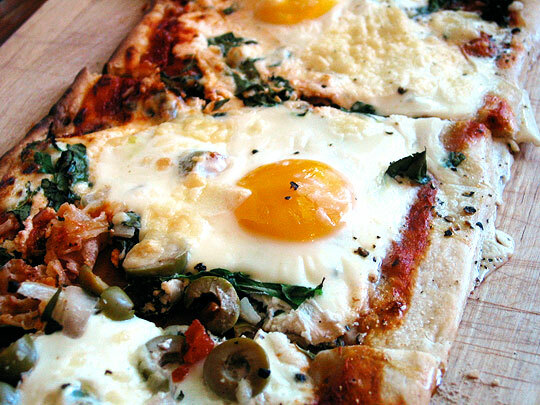 Have you tried making a breakfast pizza? We’ve done a few as specials, with eggs and tomato sauce. Where do you see yourself in five years? Opening more Santullo’s locations in the Chicago area and beyond. If you could star in any TV show, it would be: Arrested Development. 1. Start from the bottom: take a job waiting tables or shadowing a chef. I washed dishes and waited tables to understand as much as possible about the business. 2. Look to see what your competitors are doing to get ideas, but be as original as possible. Do things your own way to separate yourself from the crowd. 3. Keep an open mind and find people you can work with. The last thing you want to do is fight at work. Follow Santullo’s Eatery on Twitter at @SantullosPizza. Hungry for more? Click here for more Foodie Fridays on No Joe Schmo, including a master fudge maker and professional competitive eater. Mmm, we can never say no to fudge. 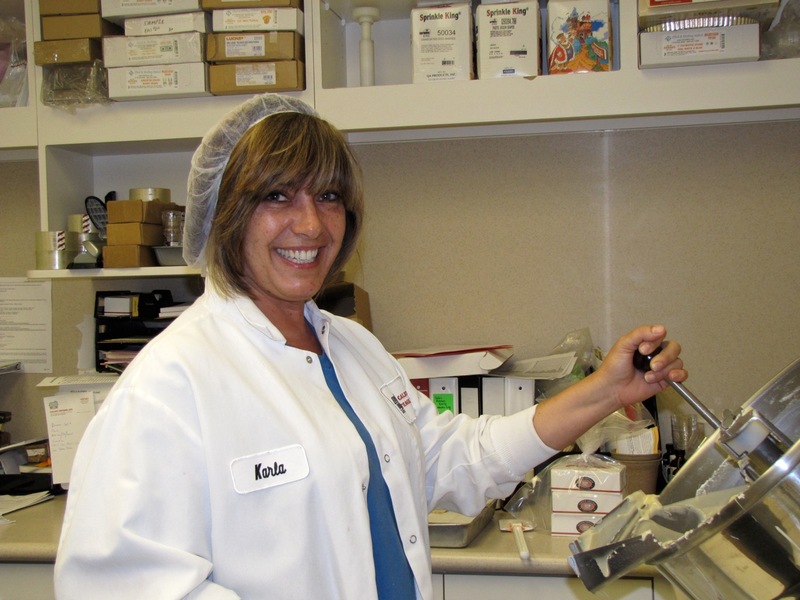 Even though she doesn’t quite have a sweet tooth, Karla Bayon eats fudge every day. For her job, she has to. Bayon is the master fudge maker at Calico Cottage, Inc., a family-owned business that’s been churning out rich, creamy chocolate for almost 50 years. From red velvet to chipotle corn, she’s constantly toying with new flavors, decorating fudge, and coming up with novelty ideas, like fudge pizza. As summer winds down, it’s out with the watermelon sherbet and in with the apple pie. Below, Bayon dishes on her favorite mix-in, weight gain associated with the job, and the weirdest flavor she’s ever seen. In one sentence, what do you do all day? In a nutshell, I develop new recipes and play with food. What made you decide to pursue a career in baking? I didn’t intend to be in the food industry, but it’s funny where life takes you. After my husband had a tragic accident, I took a temporary job at Reinwald’s, a local bakery, and ended up staying there for 18 years. Then I took a job at Calico Cottage that evolved into the master fudge maker position. Red velvet fudge is one of the most successful flavors. Did you have an “aha” moment? My son was graduating college, and he was so excited about starting his life. To see his excitement to start a whole new journey – I felt like I was missing something. I was middle-aged and felt like it was time for me to get back some of that excitement. Where do you draw inspiration for new fudge flavors? It could be in the spice aisle or vegetable aisle of the grocery store. Lately, I’ve been trying to get into Tex-Mex fudge flavors. 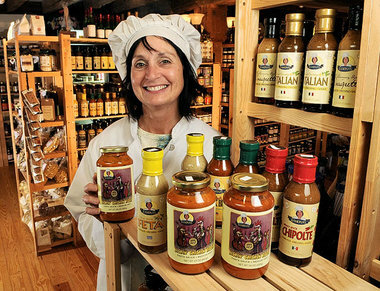 How does Calico Cottage decide which flavors to produce? Recently, a few employees got together to brainstorm, and we came up with over 600 ideas. We take a few flavors at a time and work with those – sometimes they work beautifully, sometimes we put them on hold, and sometimes they tank. 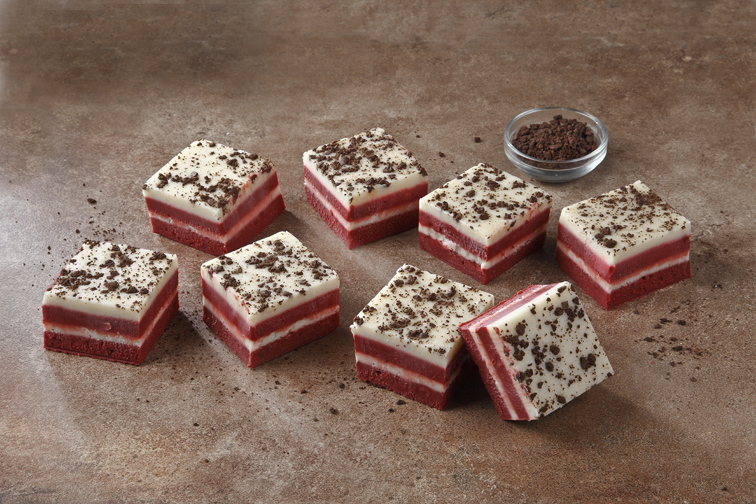 Flavor that worked beautifully: Red velvet. Flavor that tanked: Oriental, with noodles and wasabi. How do you judge what qualifies as “good” fudge? It has to be visually appealing. One flavor I thought would be a success was French toast, but it wasn’t working visually, so we put it on hold. Fudge also has to be creamy and delicious – you want to bite into it and taste exactly what it’s supposed to be. 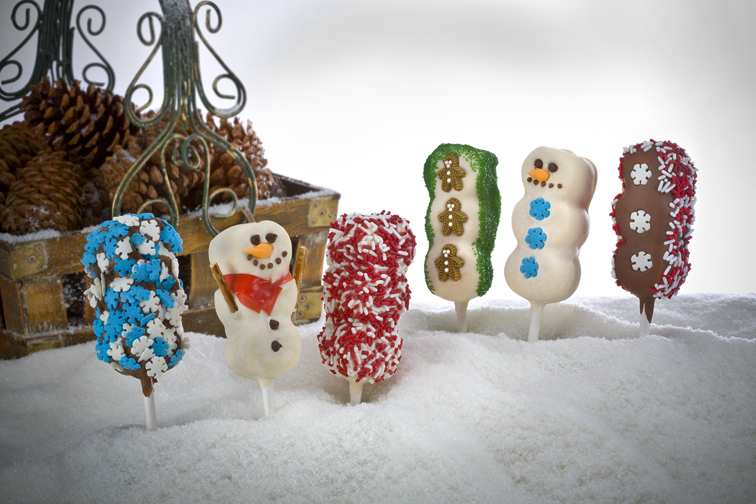 Fudge-covered marshmallow pops for the December holidays. Do you offer special seasonal flavors? Around the fall, we have apple pie and pumpkin pie flavors, and at Christmas, we have eggnog and cranberry nut. For the summer, we’ll have watermelon and sherbet fudge. Most popular flavor: Chocolate walnut. You can’t go wrong with chocolate and nuts. Your favorite flavor: Cappuccino. I love coffee. Strangest flavor: Sauerkraut fudge. I also once saw garlic fudge at a garlic festival out west. Something people don’t know about your job: There are no boundaries; what you think can’t work sometimes surprisingly does. What flavors are you working on now? I’ve been combining savory and sweet, so I’m working on a mango coconut with peppercorn, and also a chipotle corn with a nice crunch factor. 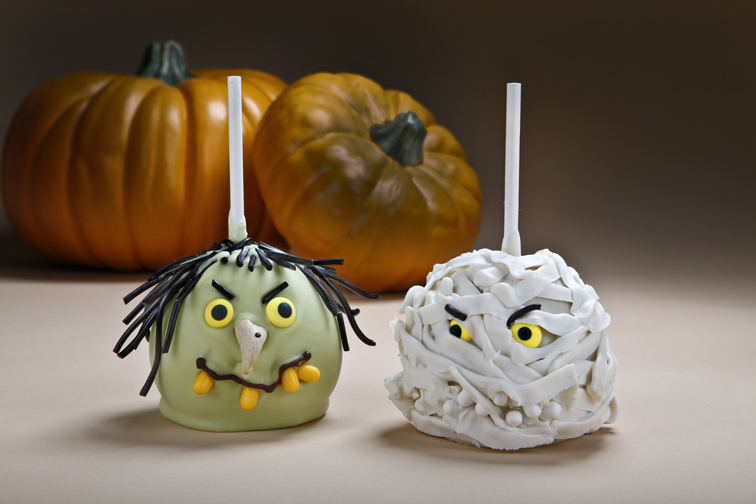 But my job isn’t just developing flavors – it’s also decorating and coming up with novelty ideas. 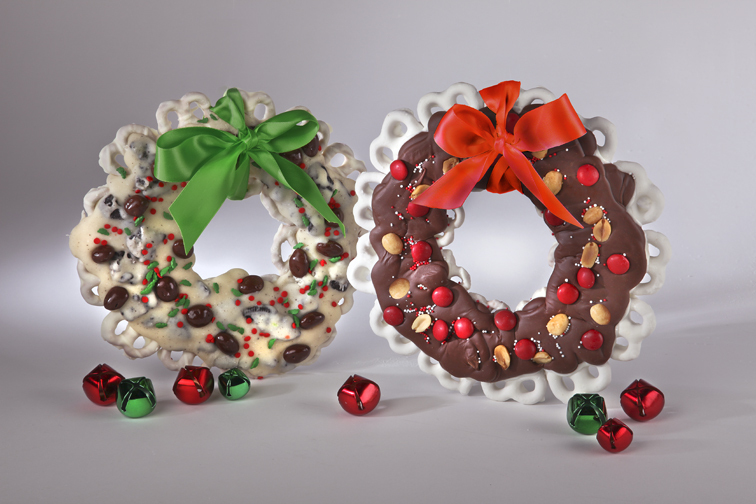 These fudge wreaths are the holiday version of the "fudge flats" that Bayon developed. Like what? I just came up with a “fudge flat,” which is kind of like fudge pizza. The crust is made of yogurt-covered pretzels, and it has a layer of fudge on top with nuts or raisins. Do you have a sweet tooth? I’m developing one more and more every day. That’s why I like to work with savory flavors, too. Do you eat fudge every day? Yes, but it’s very rich. If I keep it up, they’re going to have to put a “wide load” sign on me. Have you gained weight since taking the job at Calico Cottage? At least 10 pounds. Typically, I try to eat light – like yogurt and fruit for breakfast and salad for lunch. That way, I won’t feel so bad when I take a bite of fudge. Milk or dark chocolate? Milk. But our Mexican dark chocolate, which is dark chocolate with cinnamon, is very good, too. Candy or plain? Nuts, like almonds or hazelnuts. I love crunch and texture in fudge. Favorite dessert? Ice cream with hot fudge sauce. I also find a lot of inspiration in ice creams that are pushing the envelope. Dream job in college: Radio broadcasting. But not long after graduating, I got married and had a kid. Life happens. The fudge master serves up some advice for recent grads: Go with your passion and do what you love. I ask my son all the time: are you happy with what you do? That affects every aspect of your life: personal and professional. Check out more than fudge 150 recipes and learn to decorate fudge yourself! All photos courtesy of Calico Cottage/Lynn Misiak. PLUS: Got a sweet tooth? Check out other dessert-themed Foodie Fridays, like the Cold Stone Creamery taste master and fortune cookie writer. Today’s Foodie Friday is the first No Joe Schmo snapshot, a new series that will briefly chronicle a cool or crazy job through one photograph (snapped by yours truly). The snapshot series — which will appear several times each month — are super-condensed versions of No Joe Schmo posts, just featuring the photo, one or two direct quotes describing the job, and a bit of logistical info. The series kicks off with a Foodie Friday featuring a New York City food truck! What: Part-time worker at the Kimchi Taco Truck, which serves up Korean barbecue-inspired tacos stuffed with marinated beef, braised pork, and chicken. The truck’s owners fused their Korean heritage with their Philadelphia roots, resulting in a Kim-Cheesesteak Sandwich. All kimchi is made in-house. Where: Various destinations in Manhattan, NY, including Soho, Midtown, and Astor Place. Favorite menu item: Pork tacos. 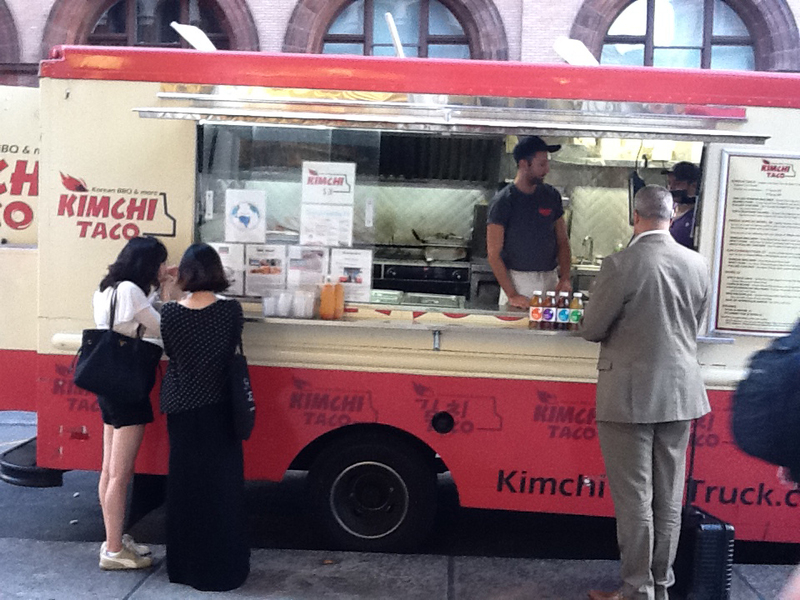 Follow Kimchi Taco Truck on Twitter at @KimchiTruck and on Facebook, where the truck lists its lunch and dinner schedules. Hungry for more? Click here for more Foodie Fridays on No Joe Schmo, like the co-founder of Crumbs Bake Shop and creative director at Dylan’s Candy Bar!